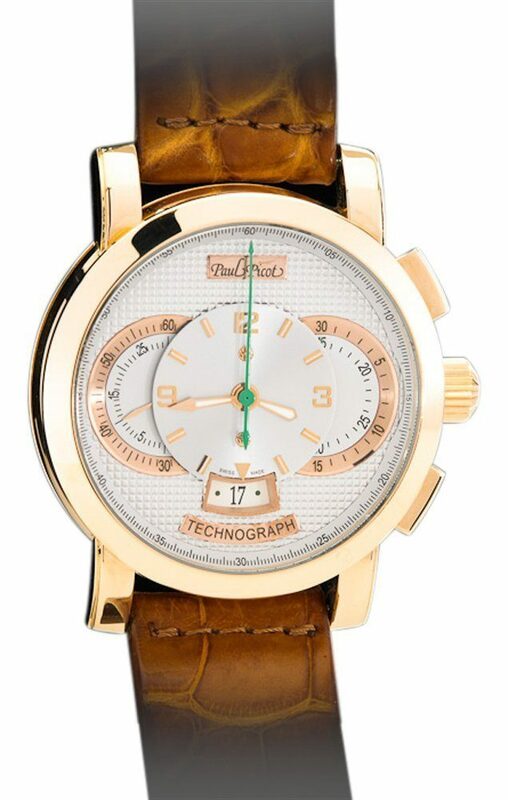 Paul Picot 18K Solid Rose Gold Technograph Automatic Chronograph Date. 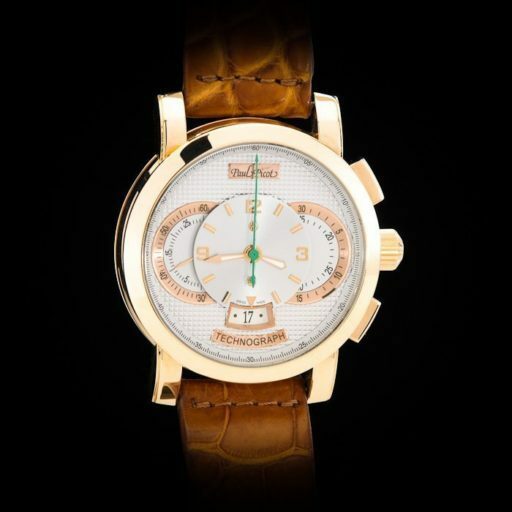 This timepiece is from Paul Picot’s highest line with sold 18K gold. 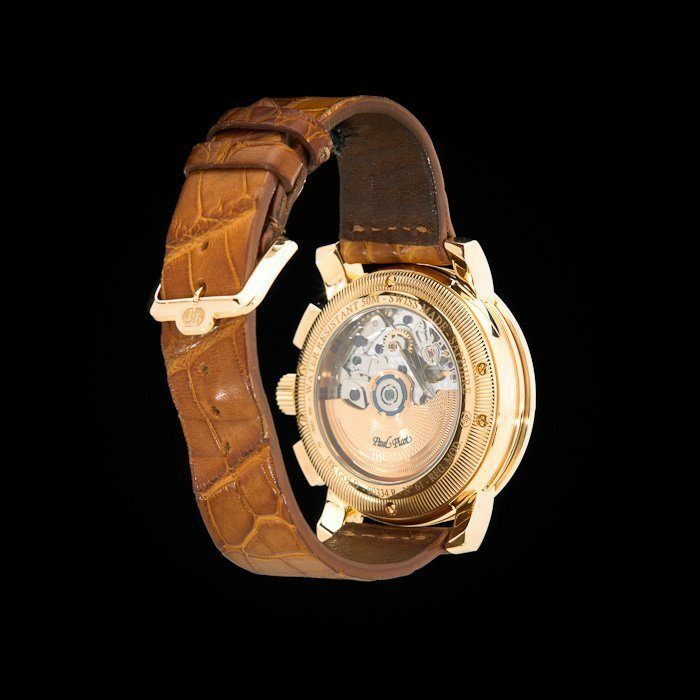 It was made in the best facilities by only the top artisans, reserved for such intricate pieces. 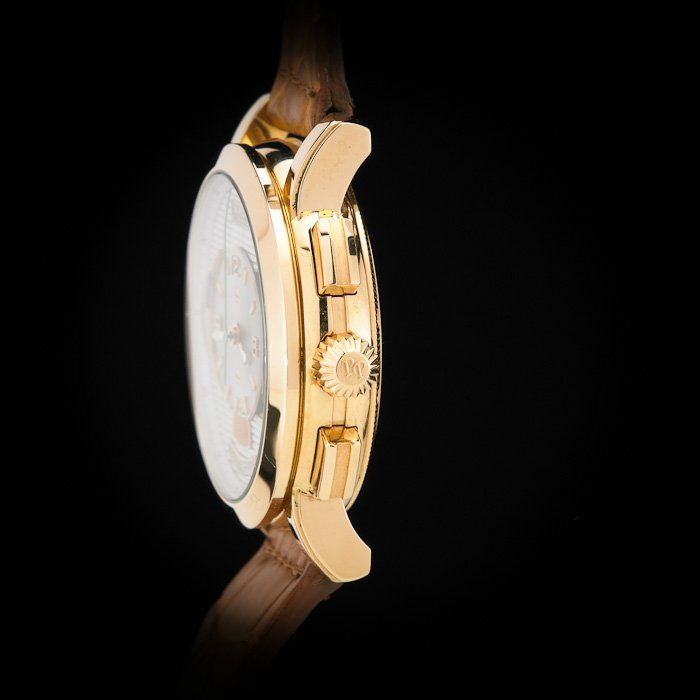 Only the best finishing is saved for their solid gold pieces. 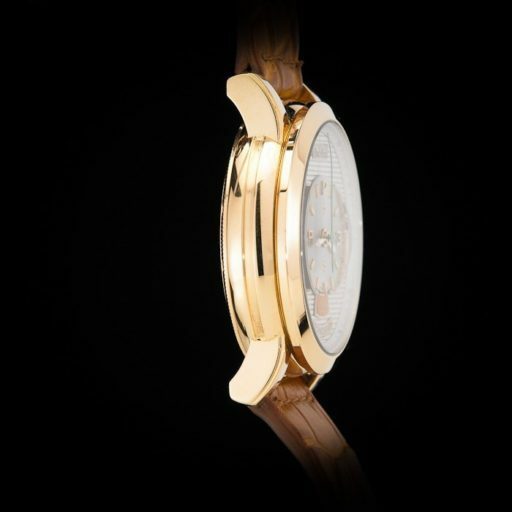 With this version, the movements and the gold rotor are beautifully finished with hand-guilloche patterns. The solid gold models are made in very small quantities (most of them are limited edition or limited production) and are impossible to find. Although you can find many stainless steel examples, the solid gold versions are very hard to find and are rarely discounted. This masterpiece is academically and technically stimulating, as well as aesthetically and artistically satisfying. Don’t let the opportunity to call it your own slip away!. Large Men’s Size, 43mm (Without Crown). 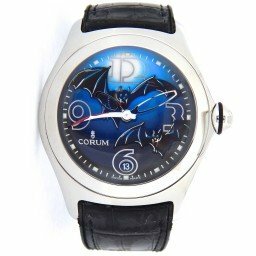 Worn by a Collector Only a Half Dozen Times.